Damian Goodhand - EATON-CAMBRIDGE, INC.
Damian Goodhand is Eaton-Cambridge’s Director or Operations and Client Services. He has over a decade of operations and service experience and most recently work for a large brokerage house. During his tenure with the brokerage house, he yearned for deeper relationships with his clients and a larger role within the process of client’s wealth management, specifically in a fiduciary role. Damian received his education locally in Tucson. 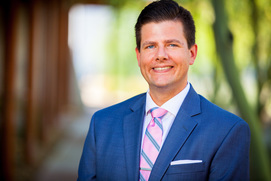 He obtained the degree BSBA in Finance from the Eller Business School at The University of Arizona. He currently holds his Series 7 and 63 and 65.